I.V. Cannula without wing without port can be used for simple procedures where injection of medicine is not required during infusion. Our I.V. 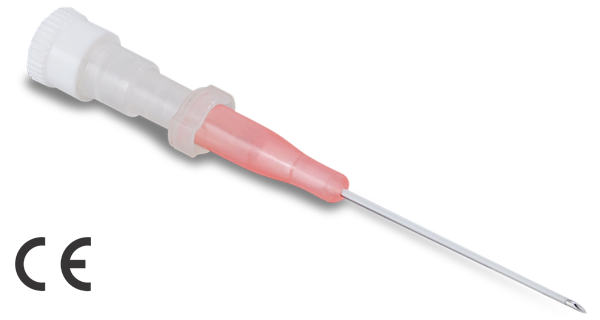 Cannula Range has Needle cover to protect the needle from accidental damage or punctures. Hub Cover i.e., the flashback chamber has high visibility indicating perfect and successful veni-puncture with blood entry. Needles Hub has a holding area precisely designed for placement of thumb. Leur Lock also called stopper used to plug the cannula to prevents any seepage of blood due to back flow, when cannula is not in use. Easy to peel off system to remove form skin blister pack. Sterilsation is done with Ethylene Oxide gas.